Ahead of the Lok Sabha elections, the launch of Checkpoint Tipline is indicative of a larger movement in the fight against misinformation in a rapidly developing Internet nation. This is an example of the increasing awareness of companies and their responsibility towards how their application is used. The Tipline is a WhatsApp contact at the number +919643000888 which is operated by a company known as Proto. PROTO is an antidisciplinary research and community business in India, headquartered in Delhi. The company is working in conjunction with a digital strategy consultancy known as Dig Deeper Media, and Meedan that builds tools for journalists engaging in fact-checking. "The goal is to study the misinformation at scale", Proto's founders Ritvvij Parrikh and Nasr ul Hadi said in a statement. 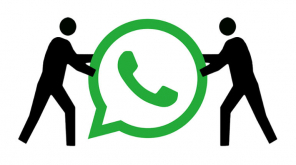 The number exists as a user on WhatsApp to which certain new stories can be forwarded to, followed by the number ‘1’. It will then send the stories to Proto, who then check the story and put them into one of 5 categories; true, false, misleading, disputed or out of scope. The new service, Checkpoint Tipline, can receive messages in the form of images and video as well as text in English and four regional languages (Hindi, Telugu, Bengali, and Malayalam). 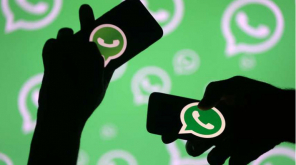 WhatsApp had the same type of challenge during Brazilian elections last year when politicians had faced claims of spreading falsehoods on the platform. Will WhatsApp be able to scale this at an effective pace, with just one week left for the first phase of Lok Sabha elections?